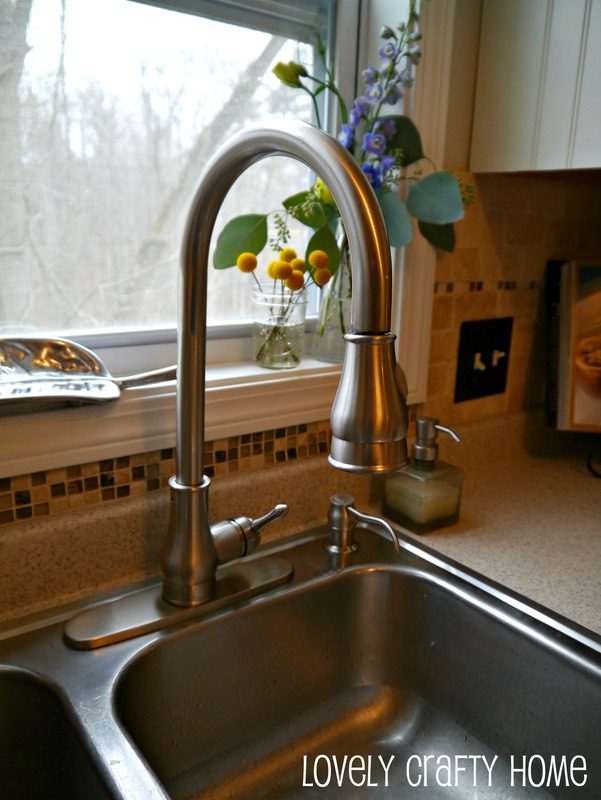 Remember last week when I told you I was getting an Encore countertop kit to redo my kitchen counters? Well I was having trouble deciding, so the nice folks at Encore sent me some swatches! I *think* I’m going to go with the Sterling Gray afterall. What do you think? It’s second from the left. 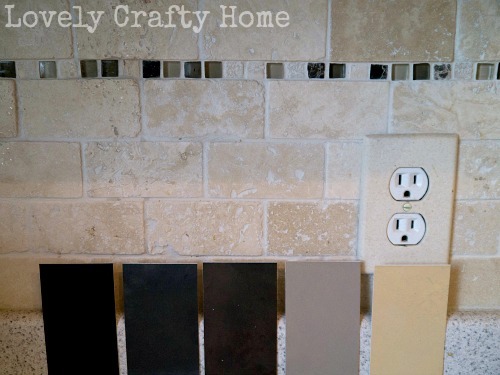 I think it brings out the gray in the mosaic accent tile, and stays true to how I want my concrete to look (I like the idea of the mocha color, but brown concrete seems odd to me). I like the black as well, but with the black appliances it might be too much. 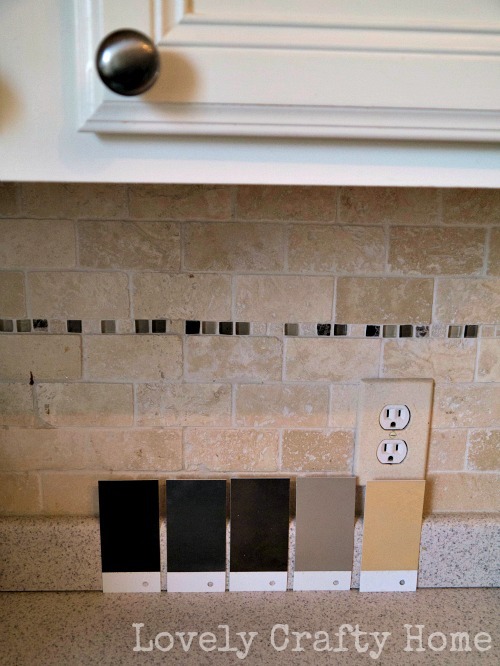 I’m also 100% committed to repainting my bottom cabinets now, something a little darker to blend well with the darker gray countertops, leaving the uppers white for contrast. Yes I did just say I was re-painting my cabinets. OMG. 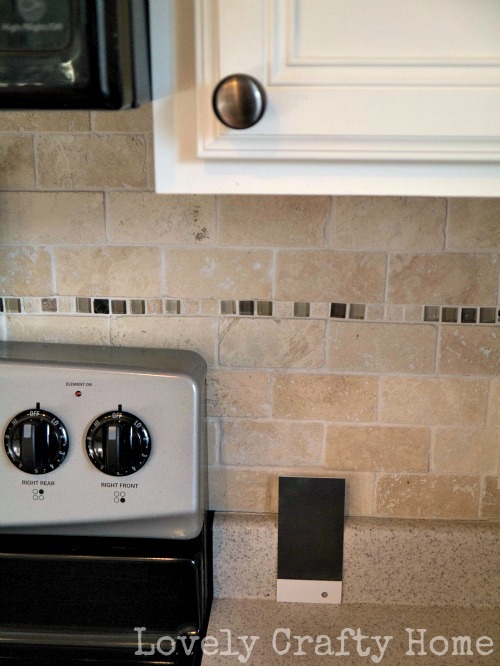 My only concern is I don’t know if I should remove the 4″ mini backsplash and attempt to continue the tile, or if I should cover it with the Encore. Actually now that I wrote that, I think I better remove it, huh? 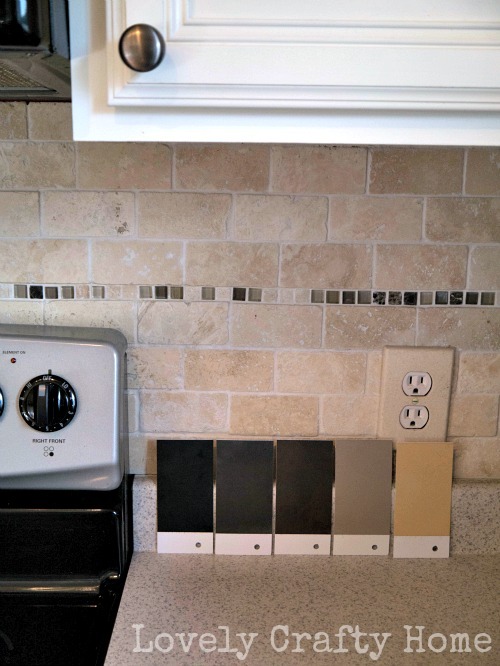 I was considering using rows of the mosaic accent tile since it’s unlikely I’ll get a perfect fit from 2 rows of travertine…similar to the look under the window? I love the natural edge too. But I really love how the color warms up a space. Kinda like butcher block. I’m just curious if you did your countertop’s yet I was going to use the Rustoleum kit but then I found this one and I think it sounds more durable and less toxic!